Every year we donate over 3000+ Project Sleep Tight totes, free of charge, to homeless, foster care and refugee children across the country who need childhood essentials to feel cozy and significant. Now to keep up with the every growing needs of the homeless population we rely heavily on community assistance. Local church groups, scouting organizations, clubs, businesses, schools etc. are what gives us the support we need to keep making a difference. With the efforts of communities across the nation we can continue to help children to feel more secure and give them a little piece of security that can make a huge difference. Contact Project Sleep Tight today if your group would like to help make a difference! Please DO NOT start a collection or project without first contacting us to see what our current need is. Rotary /service organizations, sport teams, girls clubs and scout troops can hold a collection drive and assemble Project Sleep Tight totes with; stuffed animals, children’s books, fleece blankets and a tooth brush. This makes a great service project. Project Sleep Tight totes make a terrific Eagle Scout Project, from start to finish. Do the entire service: collecting, sorting, assembling, and delivering to a shelter near you! Team building activities. 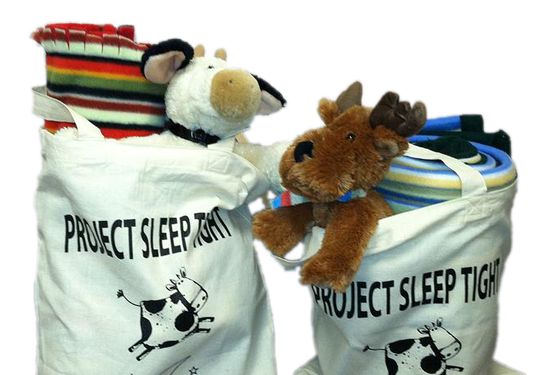 Gather a group of employees, collect and assemble Project Sleep Tight Totes. Makes a great holiday/seasonal service project. Great opportunity for business organizations too. Schools can do an entire school-wide service project anytime! Advertise and get the word out that you are holding a collection drive to support Project Sleep Tight! Place large cardboard boxes labeled: stuffed animals, books, blankets, in a large open area where everyone can contribute. Start a neighborhood Project Sleep Tight collection drive and post flyers to advertise the dates and information. Arrange a day to pick-up items that can be left on the curb. Church groups, young singles and women’s groups looking for service hours….organize a collection drive, gather and tie blankets, have an assembly line to sort and package the items into the Project Sleep Tight totes. Car pool/ deliver to a shelter near you! 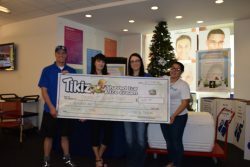 Project Sleep Tight establishes a foundation for lasting change through our Adopt A Project program. This meaningful, hands-on volunteer opportunity allows volunteers of all ages to create Project Sleep Tight totes that will benefit their own communities. Get involved today! Project Sleep Tight wants your volunteer efforts to be as successful as possible. **Contact Project Sleep Tight BEFORE beginning your project to see if there is a current need/some shelters only order our totes quarterly. Determine the number of Project Sleep Tight totes to complete. Order the tote bags (if they need to be mailed there is a fee to cover shipping). Organize a drive or community get-together to collect the items needed for filling the totes. 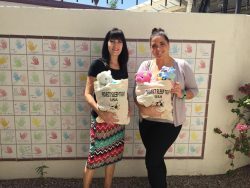 Assemble each tote bag with a new/like new blanket, a new/like-new stuffed animal, and a new/like-new children’s book and a new toothbrush. Add a tag to each Project Sleep Tight tote for the appropriate age group. Select a shelter from our list. We can help! Deliver your assembled Project Sleep Tight totes back to us for distribution.